Here’s a quickie for this weekend, in case you wanted something sweet and that can be served for breakfast. 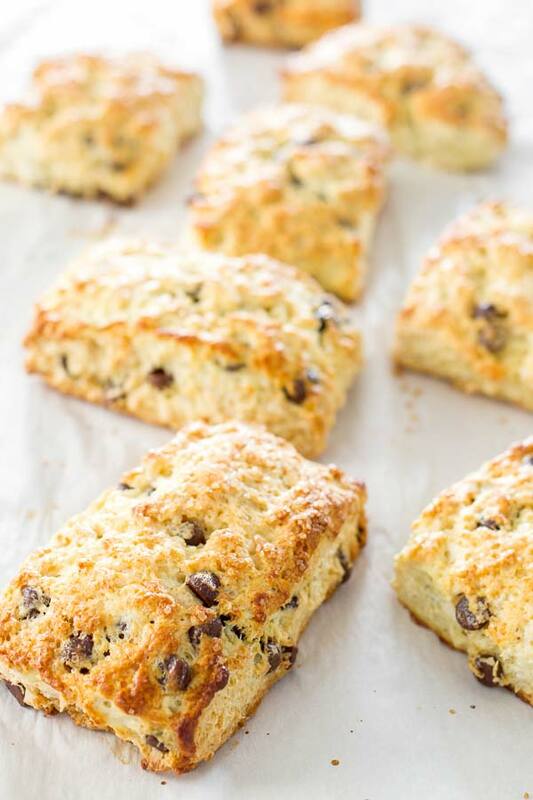 Scones are very easy to make, don’t let the ingredients list scare you away, they usually take under thirty minutes to make, so you should be OK baking some in the morning, if you are an early bird. Not much to say about this recipe, even a dude can bake these, it’s that easy. If you don’t like any of my ingredients, for example, slivered almonds, you can replace them with almost anything that you can think of. Well, I hope you don’t have a wild imagination though. lol You could even turn them into some healthy and boring dessert/snack but right now, I can’t think of a way to accomplish that. But please, you should definitely give these a shot and let me know your thoughts about this amazing breakfast. Place shredded coconut and slivered almonds on a baking sheet and toast in the oven for about 8 to 10 minutes. Keep your eye on the coconut. It browns quickly. Remove from the oven when toasted and allow to cool. Heat oven to 400° F / 205° C. Line two baking sheets with parchment paper and set aside. 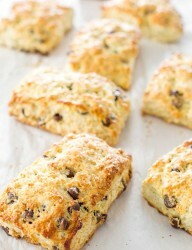 Remove the flour and butter mixture from the fridge and add coconut, almonds, and chocolate chips. Whisk together and create a well in the center of the mixture. Add the buttermilk mixture all at once to the well. Use a fork to bring the wet and the dry ingredients together. Mixture will be shaggy. Lightly flour a work surface and dump the shaggy dough mixture out onto the counter. Bring together the dough with your hands into a 1½-inch thick disk . Use a 2½-inch round biscuit cutter to cut out biscuits. Flour the biscuit cutter if it starts to stick to the dough. Place biscuits, about 1 inch apart, on the prepared baking sheets. Brush with a bit of buttermilk and a few pinches of raw or granulated sugar. Bake biscuits for 15 to 20 minutes, until golden brown and cooked through. Remove from the oven and serve warm.